So – can you skydive in the rain? If you saw the ‘Mission: Impossible’ reboot Fallout that featured Tom Cruise and Henry Cavill opening the tailgate of their military aircraft to discover they’d be skydiving into a full-on hurricane (…who was planning that flight, exactly? Was any member of the crew going to mention the weather to those guys at any point? Anyway. 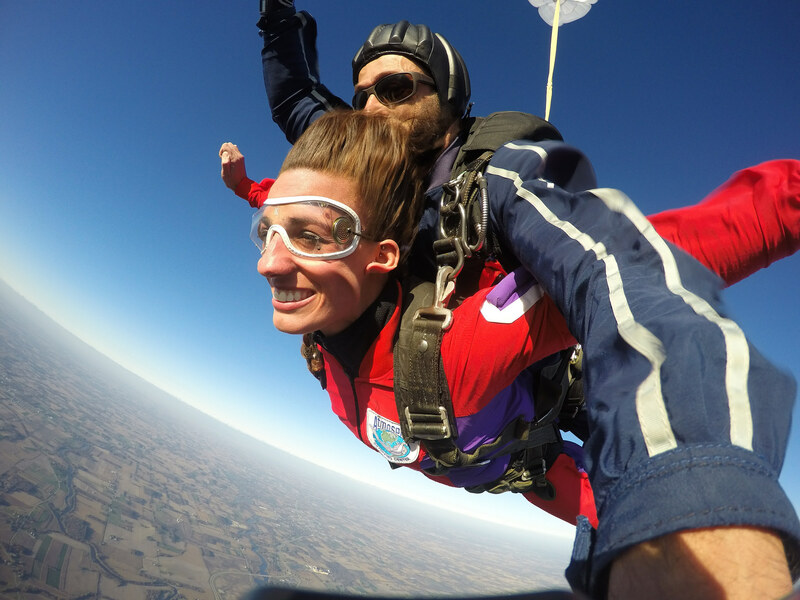 ), you might imagine that skydiving into a little bit of a drizzle might well be — well — okay. We’re here to tell you why it’s kinda not. The Federal Aviation Administration requires that we only skydive in VFR conditions. (That stands for “Visual Flight Rules” — because visual flight rules, and flying without your visual capacity available to you does not rule.) Blue skies (up to exit altitude, at least) are the only thing that qualifies. Thus: It’s not terribly common to skydive when it’s cloudy, because we need to guarantee that we can see the plane, each other, and the landing area below. Rain, obviously, comes from clouds. If those clouds impede VFR, then they’re going to impede the ability of anyone with half a brain to make a skydive. Have you ever tried to drive a car 125 MPH through a cloud bank, then jam on the brakes and try to slide into a parking spot that might suddenly be several miles away? Yeah. That’s, more or less, what skydiving through clouds is like. How About Skydiving When It’s Cloudy? If the clouds that threaten rain are super dispursed or are above the exit altitude of the aircraft, then it becomes a little less cut-and-dry. Many experienced skydivers will happily skydive in these conditions. It’s not as pretty and the videos don’t turn out as nice, but it’s fine to skydive if you can, like, y’know, see. The problem with skydiving when clouds are present is that — especially if there’s rain in the forecast — those clouds may decide, at any moment, to let loose. How About Skydiving When It’s Full-On Raining? So now that you know all about skydiving in the rain — do you wonder if maybe the weather for skydiving is perfect out at the Wisconsin Skydiving Center? Call us! We’ll tell you — and then make sure you have a place in the sky from which to enjoy it! What Motivates Us To Take Risks?